Sticky labels are like air… in that modern society simply wouldn’t work without them. It sounds like a grand claim (it may, in fact, be quite a grand claim), but don’t dismiss it just yet. We rely heavily on written information on a day to day basis. Ladies and gentleman, labels save lives. Do not underestimate their influence on us, especially in the case of warning labels. Allergy UK reports that peanut and tree nut allergies are becoming more common, with an estimated 1 in 50 infants now suffering from a peanut allergy. These allergies are among the most common triggers of anaphylaxis, during which breathing becomes difficult for the sufferer. Other food allergies and intolerances are also quite common, for example, Coeliac Disease and gluten intolerance. Chances are high that you either have a food allergy or intolerance yourself or, if not, at least know someone who does. Because of modern food production methods, many products you wouldn’t expect to contain an allergen are in fact not safe for those with allergies. Cross-contamination can also be an issue for those who have more serious reactions. Next time you scoff at a label that lists fifteen ingredients in the ‘may contain traces of’ section, remember that it may well have saved a small child’s life. In some areas, recycling is easier than in others, dependant on where bins are relative to your place of residence, and the modes of transport available to you. A fifteen-minute walk in the rain after a long day at work seems like a lot of effort to correctly dispose of three glass bottles. However, there are reasons people are so passionate about recycling – it’s a lot better for the environment than sending everything to the landfill. 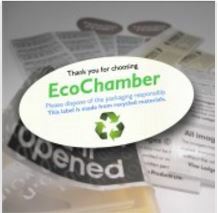 Correctly displaying recycled labels ensures that we at least have a fighting chance of putting waste in the right bins. Saving lives, saving the planet – labels are pretty darned fantastic. Many of you are probably familiar with the Humans of New York Facebook page. If not, it’s a truly inspiring set of photos, which brings to light people’s trials and tribulations. Recently an image of a girl in the DRC was posted, captioned with a quote about how she’d seen a child die of cholera because the mother could neither read, nor remember the instructions. This gave rise to an overwhelming response from fans of the page, pointing out that labels with simple images could have saved the child. 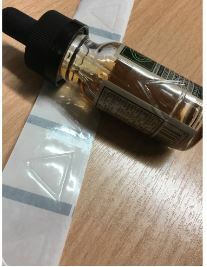 There were also a number of followers who expressed concerns about stickers on pharmaceutical products in more economically developed countries, stating that writing was often too small for elderly people to read. Labelling pharmaceuticals in a way that avoids confusion and is easily legible to the recipient is essential to health care around the world. Studies have shown that even health care professionals regularly get medication distribution wrong due to ineffective labelling. There have been frequent reports of patients being given the wrong dosage, and even the wrong person receiving the medication. Labels on anything that could be poisonous are obviously important. Reading instructions carefully may sometimes feel like a waste of time, but on items such lice treatments, flea shampoo, and cleaning products, following the instructions to a tee is essential. This is particularly important if you’ve used a similar product before, and assume the method of use will be the same. Jumping to such a conclusion could make you and your family seriously ill. Basically, we’re saying you should always read the label! 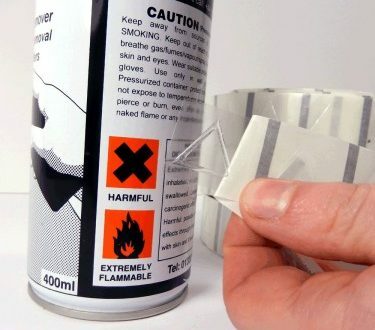 Many products have to display a triangular hazard-warning label including e liquids and household cleaning fluids. Health and safety has become a cornerstone of modern society. Every organisation seems to have a policy on the matter, these days, primarily to protect their reputation (it wouldn’t look good if visitors to a university regularly poisoned themselves while checking out the chemistry labs), and to reduce their risks of liability if an incident arises. Warning labels can save everyone a lot of hassle, and, in some cases, can save lives too. Remember that warning label is probably there for a reason next time you consider putting your hand on an electric fence. So it seems that the grand claim at the beginning of this article was, in fact, quite reasonable. From food information labels to stickers on cleaning products, labels really shouldn’t be taken for granted as they truly can save lives. Whether a label details highly technical material or simply displays a stick figure injuring themselves by slipping on a wet floor, we have to take the message on board.